But anyway, BRITONS, STOP THAT! 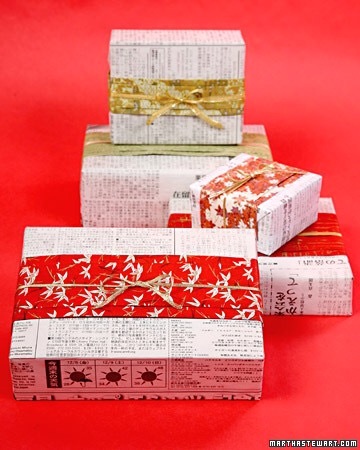 You don’t need that glittery paper to make your presents look beautiful. 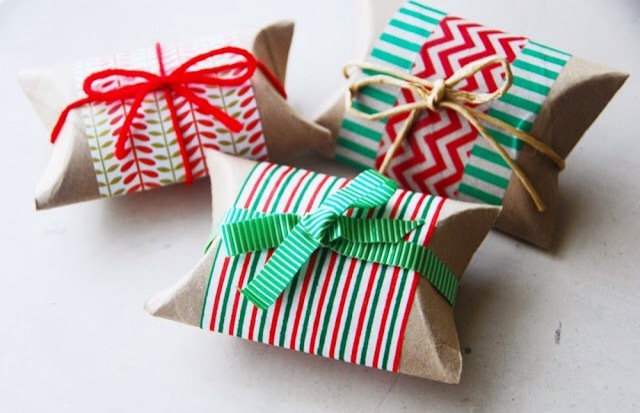 Really, you can make the most beautiful gift wrap using recycled bits and pieces and techniques that will make the crustiest fish and chip paper look stunning. 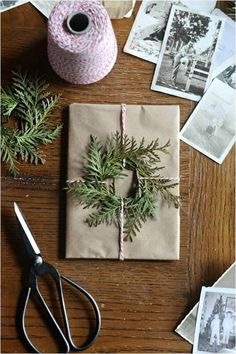 Use any paper you have, for starters, either old maps, old wrapping paper, butcher paper or baking paper. And then embellish with lovely things! Use nature (it’s free!) like Anthropolgie. 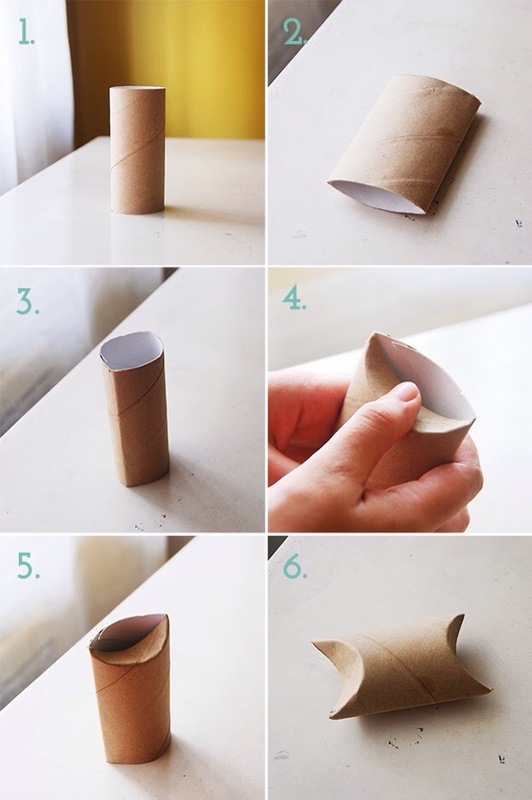 I absolutely love the super crafty Catherine’s way of making little loo roll parcels for those tiny gifts. 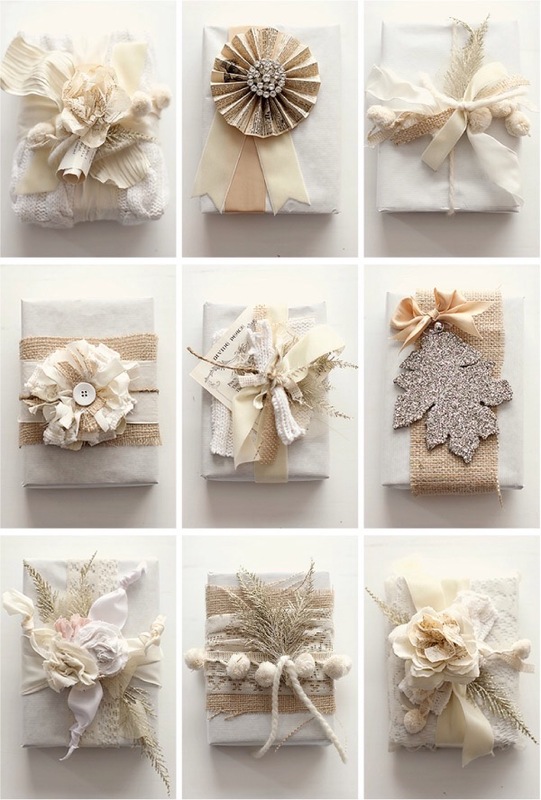 Combined with some of the ideas below I think these could be soooo gorgeous in a stocking. 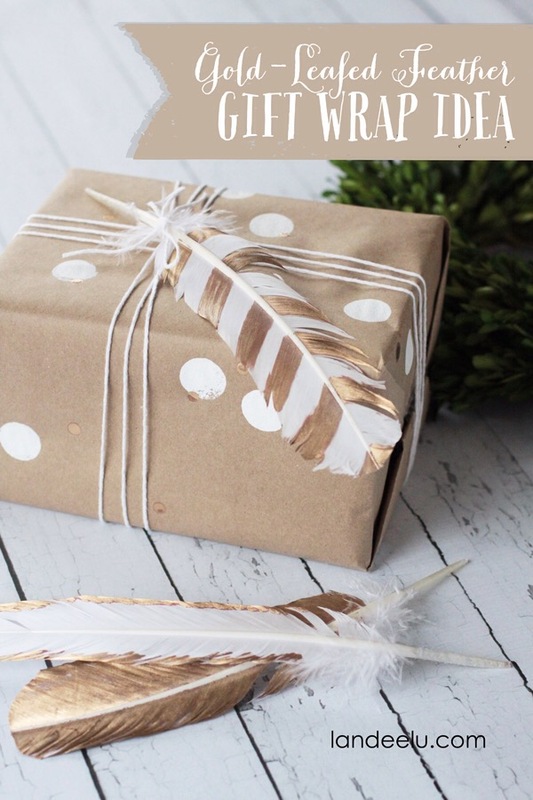 The always gorgeous Style Me Pretty have the most beautiful recycled fabric wrapping ideas, by Grey Likes Weddings, on their blog. If this doesn’t make you want to rip the lace off your undies to tie around your Secret Santa present I don’t know what will. Nine renditions of whimsical vintage fabric wrap. Who CARES what is inside. 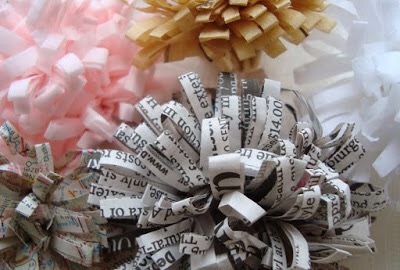 Maya Made has a lovely, lovely way to make these brilliant paper flowers. I think you could hand the present over in a plastic bag with one of these popped on top and it would still look absolutely marvellous. It sums up the idea of recycled not being cheapo rubbish, but being about creative effort- does that make sense? 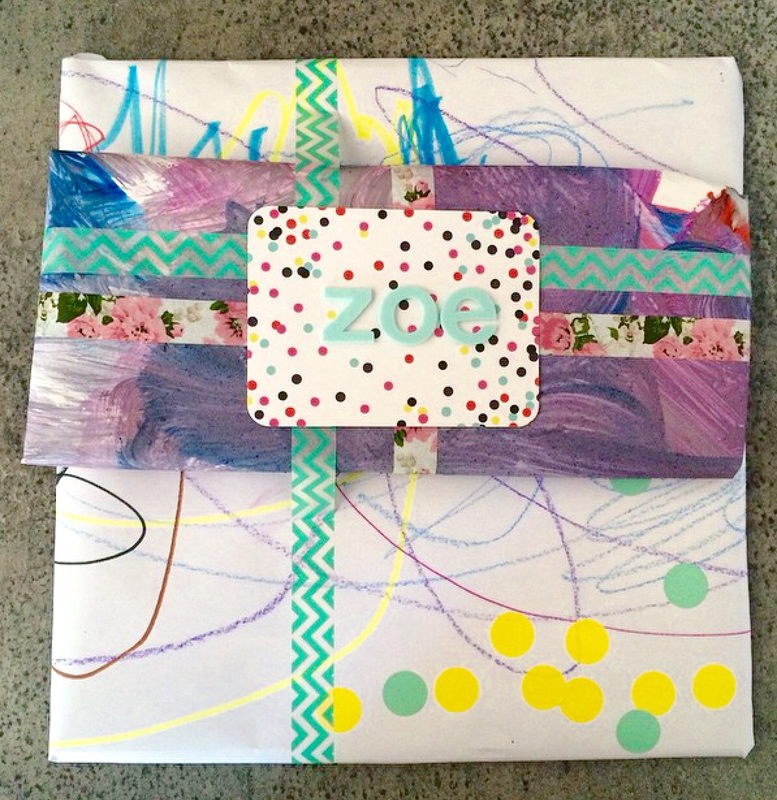 Here Kat – an inspiring Eco warrior to follow on Instagram- recycled her child’s art work and washi tape to wrap her gifts up. I was so inspired that I used the same idea on five pressies I just sent to England. Ramona was chuffed to use her paintings this way (no, really, she was!) and I was quite happy to give them a new home. I do have 1700 matching artworks of hers. Variations on “A Study In Pink”. The endlessly inspiring Crafting Chicks show us how to embellish a feather and use that to deck a simple present out. It is small touches like this that really set off a newspaper wrapped gift, I reckon. Some of the loveliest looking gifts I’ve received have been wrapped in newspaper, with a little bit of paint on, or a few buttons, or a ribbon. Or a ring of pine needles. Or a paper flower or gold feather. Sod it, just go crazy and use them all. They won’t even realise you’ve mistakenly regifted them the novelty Imprint Jesus On Your Toast Stamp they gave you last year. LOVE LOVE LOVE these Lucy!!! !